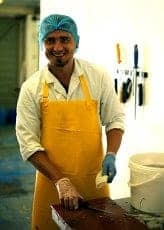 Tregida Seafood brings you the freshest fish and seafood most of which is caught along the Cornish coast. 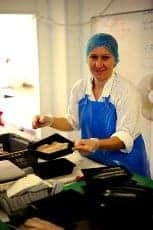 Our buyer selects the best product at market each morning and the fish is shipped into our processing unit the same day. 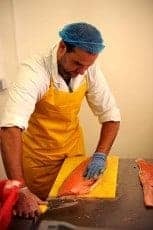 The fish are then gutted, scaled, pin-boned, filleted and anything else that our customers want, before being packaged up and shipped out that night on an overnight courier to our customers.  Tregida Seafood has joined forces with J&R Food Service to bring you a new service for restaurants, cafes, retailers and caterers called “Fish on Ice”. You can order your fish via J&R or Tregida by quoting your J&R Account Number. Orders can be placed up to 11am for next day delivery. Saturday and Sunday orders will be delivered on Tuesday. We have a pop up shop at Martins Cash and Carry on a Friday 10- 2pm. Feel free to visit!